The Coffee Bean Bracelet is dedicated to the coffee lover that lives inside each one of us! 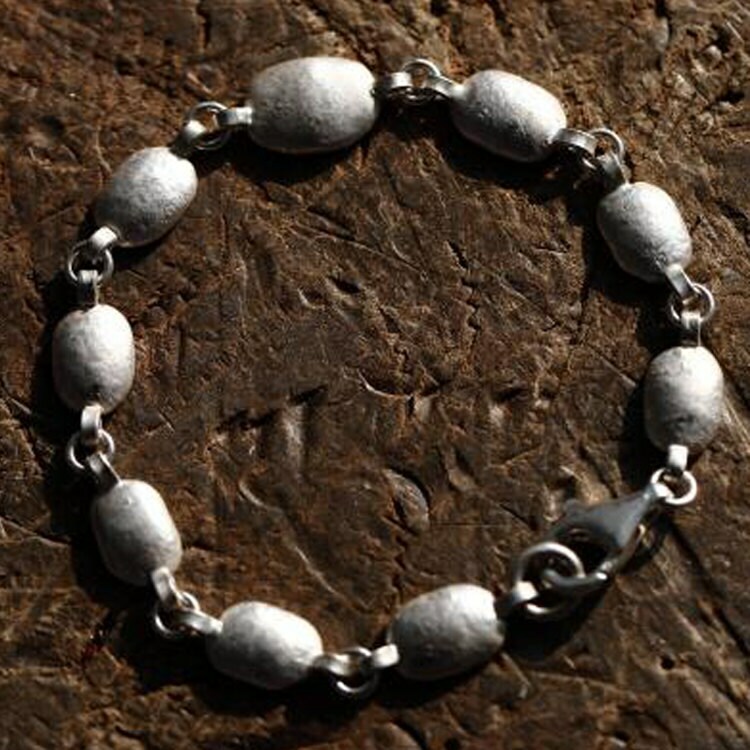 100% brewed from sterling silver, the coffee beans are linked together to create this whimsical silver bracelet design. The silver coffee bean will remind you of the rich aroma, the smooth taste, and the refreshing feel of a strong brew! The silver coffee beans are crafted with rich attention to detail: the beans are modeled on Pacamara and Arabica coffee beans. The Pacamara is considered a true artisan coffee - exotic, aromatic and great to taste. 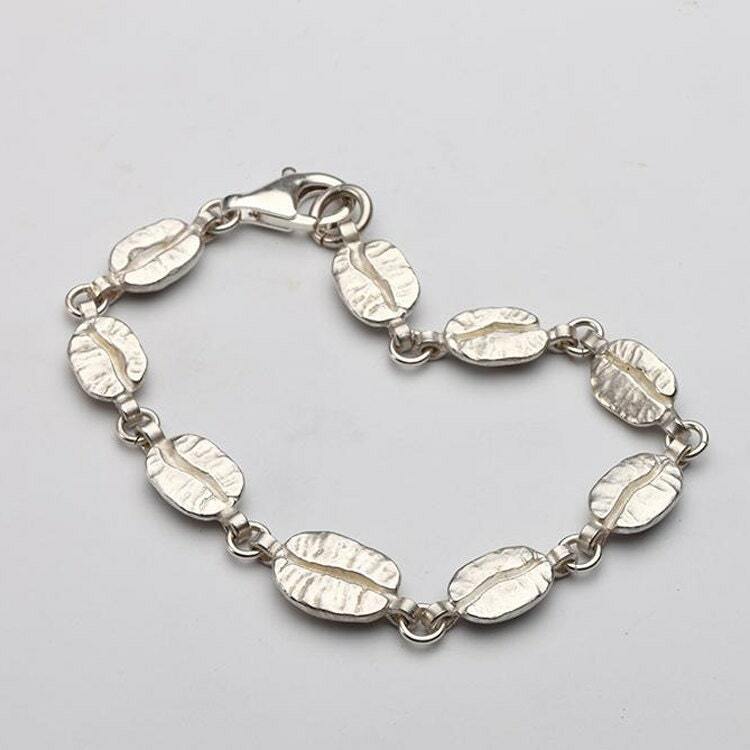 A sturdy and convenient silver spring clasp provides the closure for the silver beans bracelet. Big coffee beans about 11mm/0.43inch, little coffee beans about 9mm/0.35inch. S: fits wrist circumference less than 14.5 cm/5.7inch. M: fits wrist circumference 15-16 cm/5.9-6.3inch. L: fits wrist circumference 16-17 cm/6.3-6.7inch. 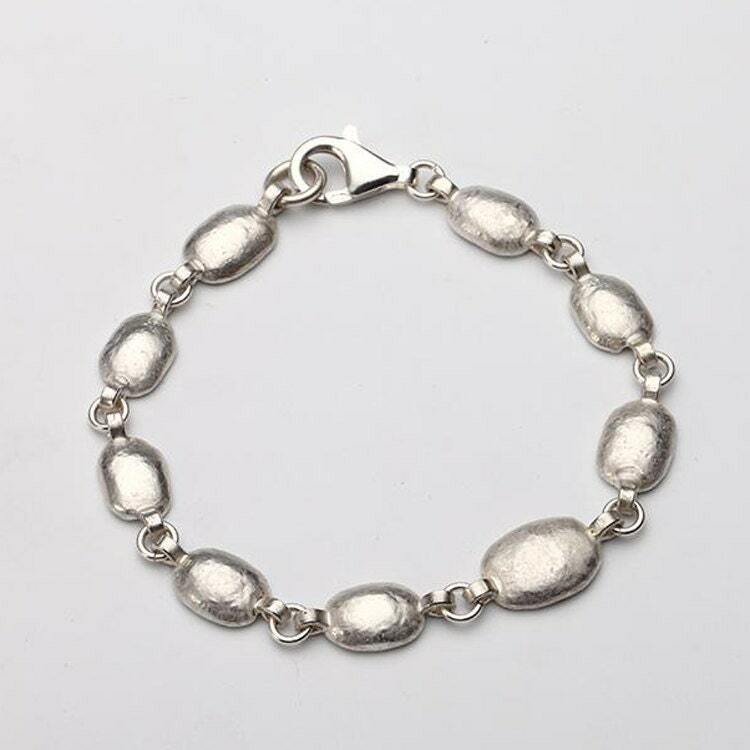 We will send you an extra 2 pcs of 1.2*6mm/0.05*0.24 inch opening silver loops for free - so you can adjust the length for a more comfortable fit. 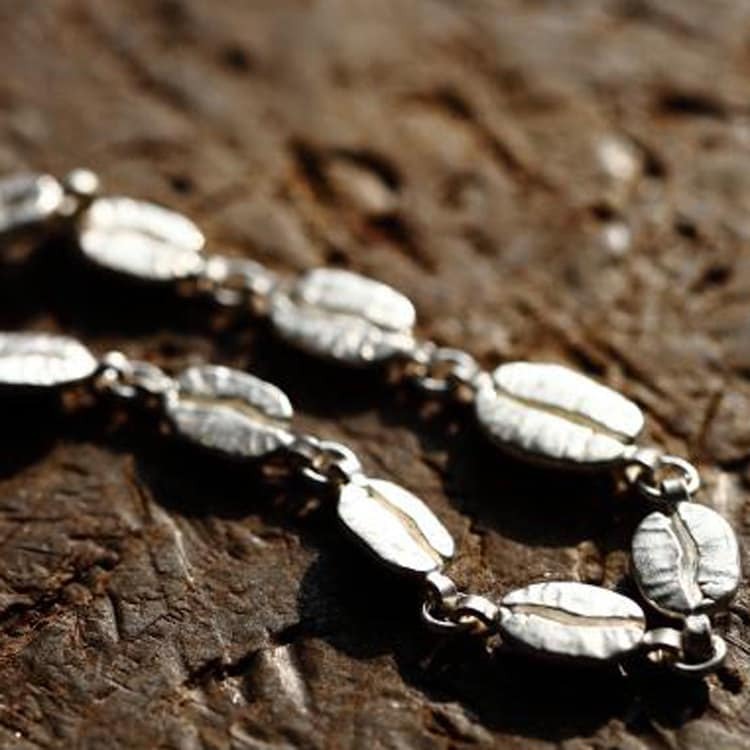 Here's the link for same designed Coffee bean Necklace: https://www.etsy.com/listing/456648814/silver-coffee-bean-necklace-coffee?